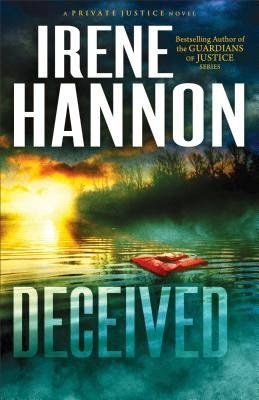 As Irene Hannon's many fans have come to expect, Deceived is filled with complex characters, unexpected twists, and a riveting plot line that accelerates to an explosive finish. Three years ago Kate Marshall's life was turned upside down. A routine father-son fishing trip turned into a nightmare when Kate's husband was found dead and her four-year-old son was presumed to have drowned. Kate left upstate New York for St. Louis, Missouri. She has begun to build a new life until a chance encounter in the mall has her questioning everything. Kate is sure the young boy she saw on an escalator at a local mall is her son. The police don't find her story plausible so she hires a private investigator. Although Connor Sullivan isn't quite sure what to believe, he agrees to take the case on a provisional basis. What he finds out is even more shocking than the original incident that claimed the life of Kate's husband. Can Connor find the truth and return Kate's son before more tragedy occurs?